But $50 is still a great price. Amazon probably isn’t the first name you think of when you need a tablet, but it’s actually the No. 2 tablet maker behind Apple’s ubiquitous iPad. And now there are signs that a new model may be coming out just in time for the holidays. While there aren’t any rumors or spy shots of a new Fire HD tablet, a close reading of the tea leaves suggests a new one is on the way. For one, Amazon has always updated its tablets before the end of the year, and we haven’t gotten any new models in 2018 yet. 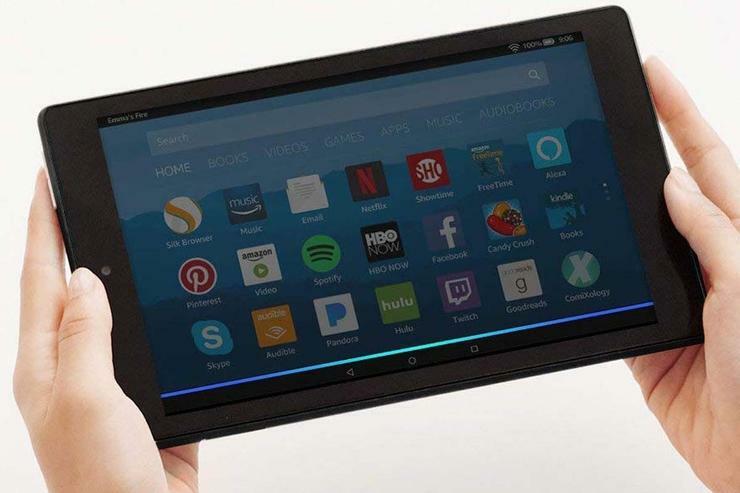 The fifth-gen and sixth-gen versions of the Fire HD 8 each had September release dates to boot, so an event sometime within the next 3-4 weeks isn’t out of the question. You can’t even backorder one in another color, another clue that a new model is on the way. So what could a new model bring? A new chip for sure, maybe boosted storage and a better camera, or a higher-resolution screen. A line of Alexa-friendly accessories could be in order as well now that Show Mode has brought the Echo experience to Amazon’s tablets. But a new Amazon tablet is still likely to focus on play rather than work. Amazon’s Android is very much designed for content consumption rather than creation, and a new report in The Information suggests Amazon might be doubling down on that philosophy. Amazon is reportedly developing a free ad-supported video service called Free Dive that would bring original shows and older TV shows for Fire TV users. I’d be shocked if it didn’t offer it to new tablet owners as well. So if you want an Amazon Fire HD 8 tablet for cheap, there’s never been a better time to buy one (assuming you’re OK with blue). But there’s never been a better time to wait to buy one either.